There’s no point in hiding it, we are unabashed copycats, especially when it comes to our girl Solange Knowles. It’s a very Regina George situation. She wore jewels on her face at Mardi Gras, so we bought jewels for our faces for Mardi Gras and we’re still looking for the perfect pink “Cranes in the Sky” coat. Solo is back and bringing the inspo for the April and May issue of Bust Magazine. She’s rocking bold spring makeup and a head full of gorgeous curls. We’re loving her soft, full brows so naturally, we’ll be replicating the look. Get into this flawlessness, tho! We are not worthy of Solange! The editorial shot that really caught our eye, though, is this makeup look. Here’s how you can recreate the avant-gard look, if you’re feeling experimental. 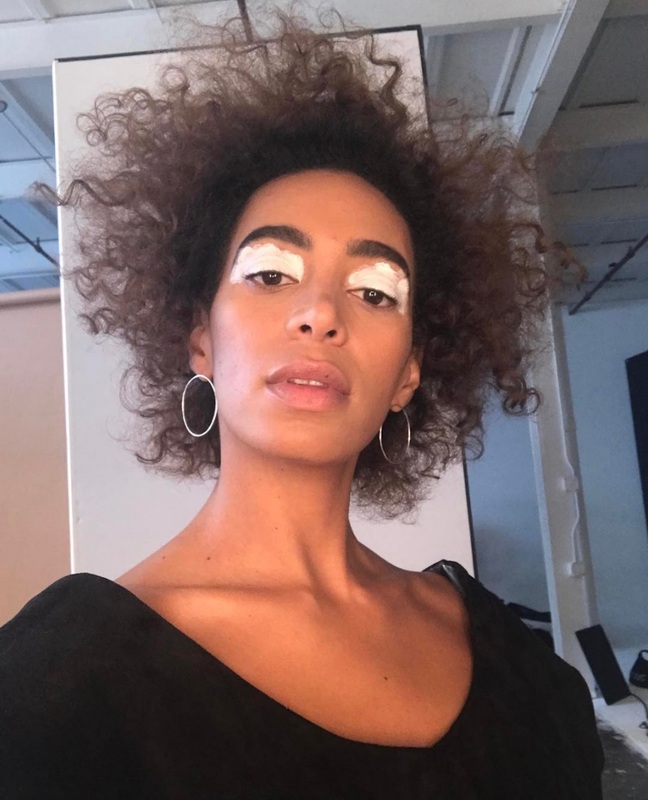 Solange’s brows appear to rely on powder to get their fabulous shape. Need a powder rec? Anastasia Beverly Hills Brow Powder Duo ($23 at Sephora) is holy grail. It comes in twelve shades and you can mix the duos to match your hair to perfection. 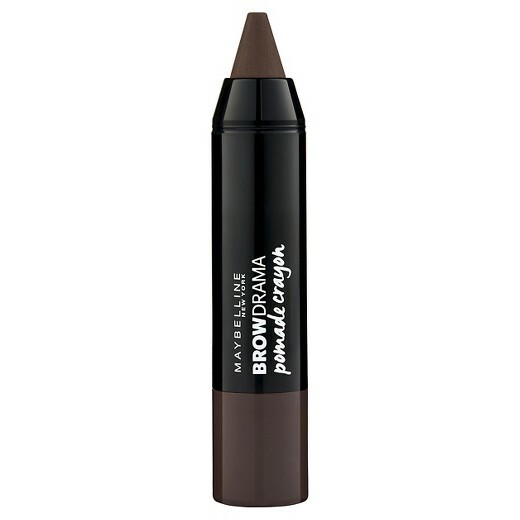 A cool alternative to powder brow fillers are crayons like the Maybelline Eye Studio Brow Drama Pomade Crayon, ($8.99 at Target.) They’re super easy to use and perfect if you haven’t quite mastered applying powders with an angled brush. Inside the issue, Solange is giving us major spring inspo (and vintage Whitney Houston vibes) in a velvet mini with a bold white shadow look. No shade to the cut crease eyeshadow trend, but we’re loving the painterly application of her shadow. We’re looking to gel eyeshadows to replicate the artistic look. The e.l.f. 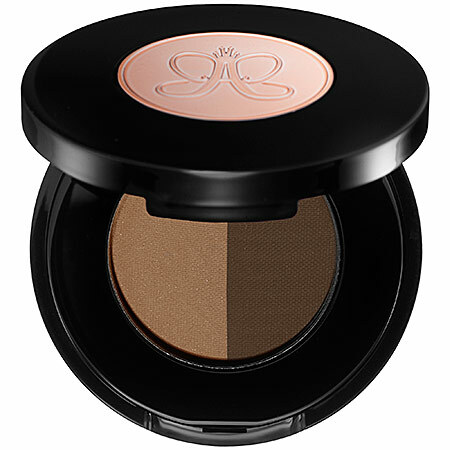 Long-Lasting Lustrous Eyeshadow has a whipped texture that makes it easy to apply with fingertips. 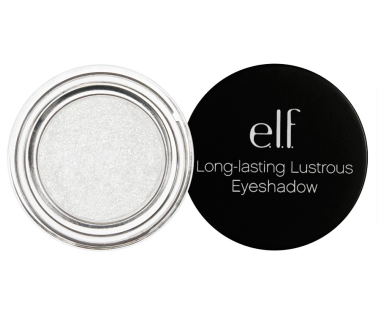 It works double duty as a gel eyeliner, and it’s only 3 bucks. 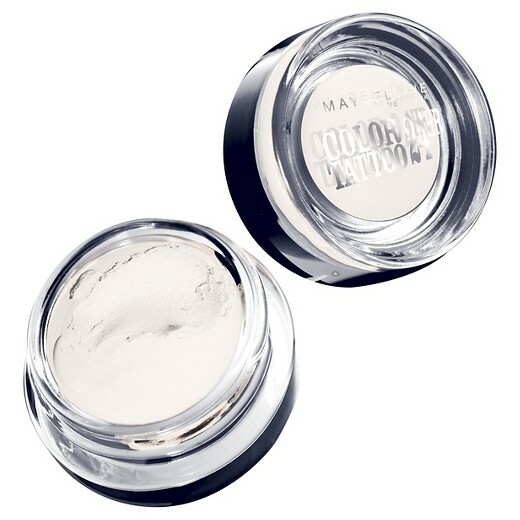 Maybelline Eye Studio Color Tattoo 24HR Eyeshadow ($5.99) is another creamy formula that would work to get Solo’s look. Added bonus — the long-lasting formula doesn’t need a primer to get the job done. Now, all we need is to nail her choreography and we’re set. 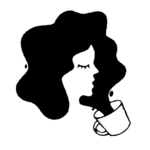 Check out the interview sneak peek on Bust!